Regardless of the size of your home, it can be difficult to include every little object that you might need or want into your décor. When you live in a condominium or an apartment, the struggle of stuff vs space can become very clear as these objects can quickly clutter and take over your living area. However, companies like Toronto’s BoConcept (located at 230 Adelaide St E) are leading the way in creating beautifully designed, functional furniture that really help take advantage of the space you have available. Follow our list of multi-purpose, convertible and expandable furniture to help you use your space efficiently. A piece of furniture that’s seeing a big comeback is the Murphy Bed. Also referred to as “wall beds,” they allow you to keep an area open during the day or whenever the bed isn’t needed while providing you with a ready-to-go sleeping option simply by pulling it down from the wall. These are especially popular for rooms that are used as a home office, studio, or for play rooms that double as a guest bedroom. Due to the growing interest from condominium owners, these space-savers come in a wide variety of styles that include great storage options. Futons and Sofa Beds are also a good option if you are looking for a smaller furniture piece to bring your space together. These simple solutions come in a variety of gorgeously designed pieces that look great in any room and provide you with sleeping arrangements for you or your guests (check out BoConcept’s selection). Coffee tables are usually a mainstay in any living room set up; they often offer a place to eat as well as a place to set drinks, books, and TV remotes while making the area look less barren. However, if you’re living in a condo, you may not have the space strictly for a coffee table. There are amazing coffee tables with storage compartments built-in to discreetly hide the books, electronics, and toys that can easily clutter a room and make the space seem smaller. In fact, places like BoConcept are creating coffee tables that can easily rise and expand to the size of a dining room table with additional pieces that fold away into the table. Be sure to check out their Barcelona table that provides great storage options with a modern, eye-catching design. If you’re someone who loves hosting, you will want to check out the stunning Milano Table! Transform from a small streamlined breakfast table to a dining table that can easily seat six. BoConcept offers a wide variety of expertly crafted expanding tables that you are sure to fall in love with; giving you the option to host family and friends without sacrificing precious space when not in use. If you work from home and would like a designated desk for your small space, the Ludovico Office is your ultimate space saver. 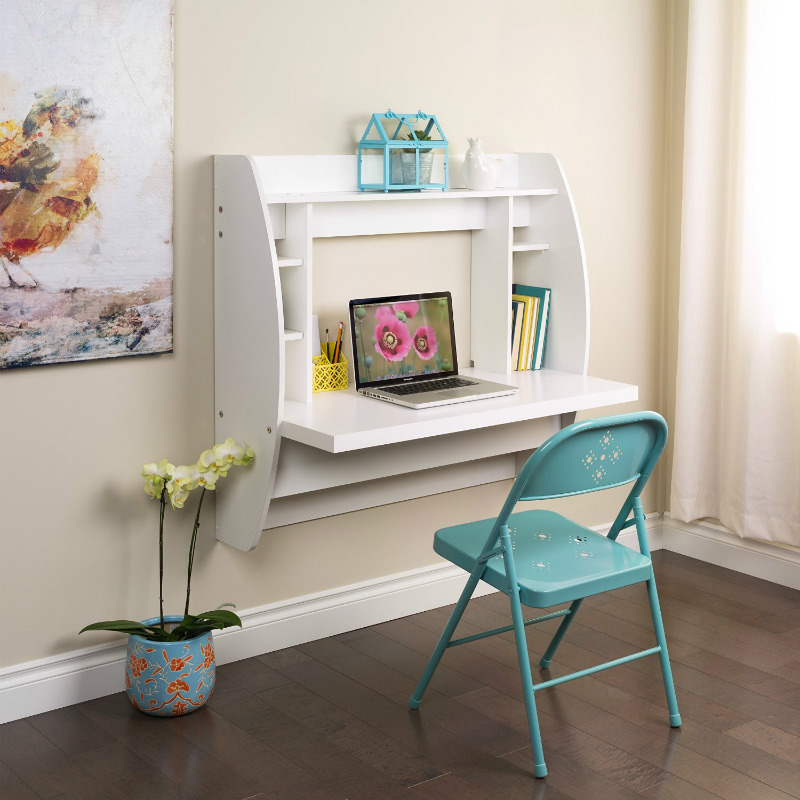 Converting from a small filing cabinet into a functional desk with accompanying chair (stored within the cabinet design), this piece is perfect for making use of those nooks and crannies you may not have thought were useful. Simply pull the cabinet out when you’re ready to work, remove the chair and you’re all set for work! Of course there are other options as well if the Ludovico doesn’t seem like your style. Smaller desk options like Floating and Murphy desks keep a very low profile and save you a ton of floor space, keeping the room feeling open. IKEA also offers a great range of desks perfect for smaller living spaces; like the IKEA PS 2014. This is a perfect example of furniture built to help you save space, with cable outlets included, to easily manage your electronics and storage space for books or office supplies on top. BoConcept’s The Fermo shoe cabinet is a great choice to optimize the room in your hallway. The clean lines and minimalist look of this piece really lend themselves to the overall spacious feel you are creating. Think of this as the hallway closet that stores your shoes in a eye-catching, yet compact way. Keep shoes neatly stored away so you can set the open, mess-free ambience of your home right from your front door. As you can see, with some smart purchases and creative thinking, you can create a room that is totally efficient and space-conscious. We hope this list gave you some ideas for furniture that will not only make the space your own, but maybe even help you find room you didn’t know was there! To find out more about Marlin Spring and our developments be sure to check us out here.